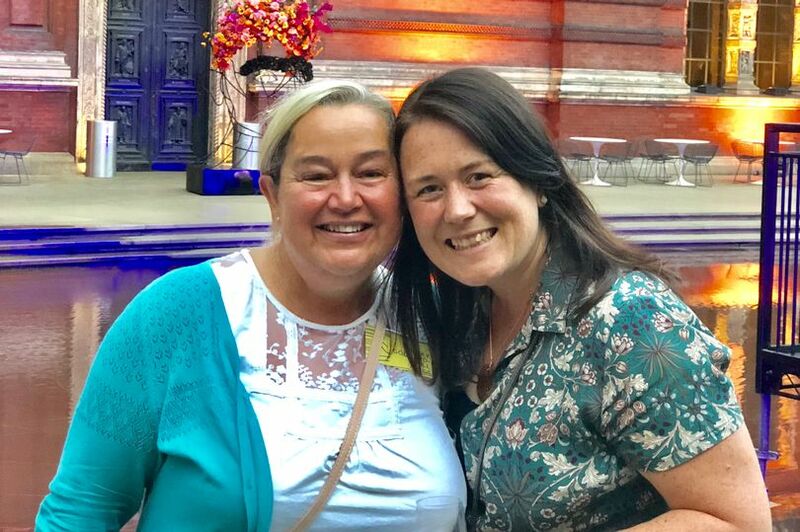 Becky Goddard Hill and Penny Alexander are award winning parent bloggers and authors of Create Your Own Happy – a happiness boosting handbook for 7-11 year olds. 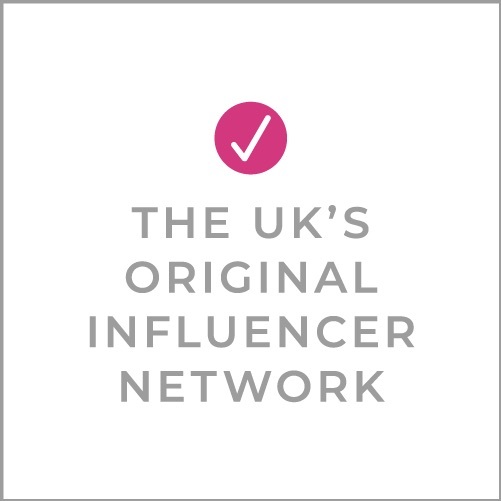 Their book was published by Harper Collins on 6 September, 2018. Here they share their back to school tips. When it comes to going back to school there is an awful lot we can’t do to help our kids we can’t choose their teacher and their class mates and we any take away the early mornings and the homework. But oh, there is so much we CAN do to help boost their happiness levels and help the back to school transition weeks go well. 1. Scientists believe that 40 % of happiness is within our control and we need to teach this to our children. Their happiness is their superpower. When they take action they can make things better. Teach them to have a ‘can do’ problem solving attitude when they are worried and they will soon find their happy levels increase. The best way to teach this? Model it! Rather than moan when life is tough let them see you make a plan! Create Your Own Happy is jam packed with ideas to boost happiness and bust worries. 2. Routines really help children know what they need to do and what is expected of them; having a set wake up time, getting out clothes the night before and packing bags help hugely. Eating breakfast and getting dressed in the same order each day all of these help a child have a smooth and positive start to the day. Being frantic and disorganised can cause a lot of stress for everyone. 3. A good breakfast, daily exercise, enough water, plenty of sleep and a good dose of fresh air are all absolute basics crucial to our wellbeing and contribute hugely to happiness. Researchers have shown that people are happier just after they have been moving than when they are still. It is easy for kids who are at school all day not to get enough physical exercise yet it is so important that they do. Moving makes us happy! We’ve included some activity planner ideas in the book. 4. Friendships can make or break a child’s school experience. We need to teach our children not just how to make friends but also how to be a good friend. They need to be one and make sure they know what that involves. One of the exercises in the book is all about exploring what makes a good friendship, there are also activities around inclusion, confidence, speaking up against bullies and giving compliments. 5. Comparison is the thief of joy. One of the hardest things about school for children can be the feeling that they are in competition with smarter, faster more popular kids. We need them to realise they are unique and don’t need to compare themselves to anyone. Knowing their own strengths and having positive self-esteem is really important and something that should be absolutely encouraged. They don’t need to lose their sparkle because another child shines in a different way. 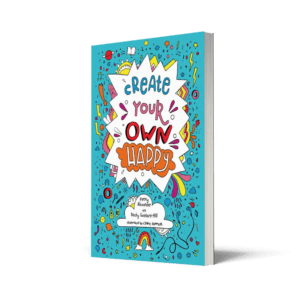 Create Your Own Happy is an interactive activity book with lots of space to explore our identity, signature strengths, values and opinions. Don’t forget to allow time for all your back to school/ child starting school feelings as a parent, one of our favourite exercises in the book encourages children to name their feelings, but we think that’s important to do this as parents too! Watch Penny’s vlog below! Create Your Own Happy has nearly 50 different activities which have been shown to boost happiness and each activity is backed up by research into happiness, because we think knowing WHY you should try something is just as important as the activity! Find out more via our podcast. Follow the blogger book tour to see the book in action! 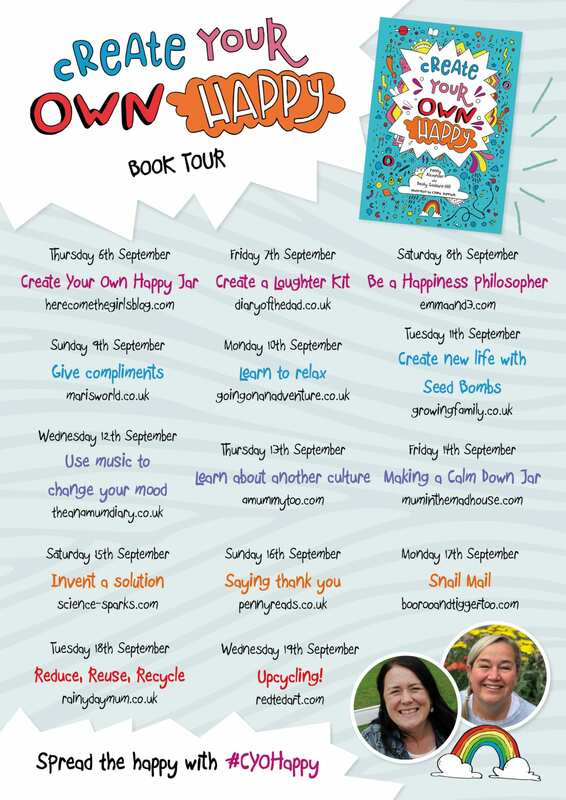 Create Your Own Happy is available now from all good booksellers. Next Post Wild swimming with Selkie Swim Co.